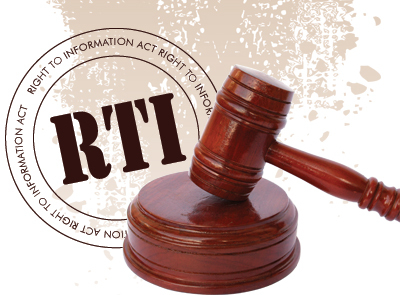 The 2005 RTI Act allows the public to access information about all public authorities. Subject to this act, all public authorities must follow guidelines to ensure that their activities are recorded and available to the public. The Act intends to promote transparency and accountability in the system, empower citizens and neutralize the rampant corruption. An integral part of the Act is its scope which extends to all ‘Public Authorities’. A contentious proposition which was pending in the Monsoon Session of the Parliament this year, was the amendment of this vital Act in order to exempt all political parties from its ambit. 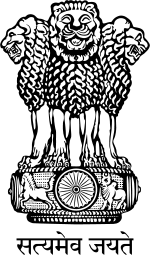 The Business Standard reported that on August 12th the government introduced a Bill to Amend the RTI act so that ‘Public Authority’ would no longer include political parties registered under the Representation of People Act 1951. The catalyst to this bill was a preceeding ruling of the Central Information Commission that required all political parties to disclose their sources of income- an ostensibly brave move to curtail any dubious political financial activities. In August, the aforementioned Bill stated that this was a very ‘liberal interpretation’ of the act (Diplomatically speaking, liberal is synomymous with outrageous) adding in its defence that rival parties might try and exploit the Act. Following the introduction of the bill there was instant uproar in the country, with activists all around condemning the government’s obvious motive to undermine the RTI Act. Online petitions were drafted by public moral watchdogs with lakhs of Indians voicing their protest against the planned amendment. People contacted their local MP’s, called up the Lok Sabha Speaker, staged rallies and protests, tweeted, blogged and openly discussed via social media the need to fight the dilution of the RTI Act. The National Campaign for People’s Rights handed the Prime Minister three memorandums urging him to not amend the RTI Act and instead pass a handful of Bills such as Lokpal and Whistleblowers protection that aimed at tackling corruption. However circumstances became tenuous when the PM responded that all political parties were ‘unanimous’ in their decision to amend the RTI. The power of the people especially in a democracy is, however, a force to be reckoned with. When the Vox Populi became impossible to ignore and when the furor over the amendment gave no indication of dying down, the government finally referred the Bill to the Standing Committee, a decision which was hailed as both ‘welcoming’ and ‘reassuring’ by activists. A plan that could have potentially destroyed the RTI, has been delayed, deferred but not blown out of the water yet. The matter is likely to come up again during the Winter Session, a possibility that has been anticipated by activists fighting for RTI. 5. As always, if you are on Facebook, Twitter or a content writer for any legal website or blogger for WordPress, Blogspot etc make sure that you continually discuss this issue online and convey your stand. Remember, every voice matters and every vote counts.